Temples, mosques, gurdwaras, synagogues, churches and other places of worship around the country are coming forward to 'Remember Together' and promote integration by uniting people of different faiths and ethnic backgrounds to mark Remembrance of shared history and the centenary of the First World War. Most in Britain are unaware of the contributions of more than 4 million men (over 1.5mn in WW1) from undivided India that participated in the two world wars. The British memory of those who died in the world wars is very Eurocentric. Many have forgotten how soldiers from colonial India, gave up their lives for a country, they were not born in, or had never visited. The financial contributions from Indian revenues towards the cost of the war amounted to £146.2mn by 1919-20, in today's terms this would be £14bn. While in India the official remembrance of World Wars remain a sensitive subject, current UK commemorations do not capture the complexities either. The Memorial Gate at Hyde Park, set up by Baroness Shreela Flather is the only monument to particularly remember the role of Commonwealth soldiers in different wars of the colonial era. As the country feels anxious and fragmented with Brexit and with hate crimes on the rise, the need of the hour is indeed to remind everyone that Remembrance Day should belong to everyone and not a particular faith or ethnicity. Remember Together is a partnership between integration thinktank British Future and the Royal British Legion as part of its Thank You campaign, with support from ISD and Google.org. Politicians from all parties have also joined these faith leaders, former military heads and charities to support this initiative. 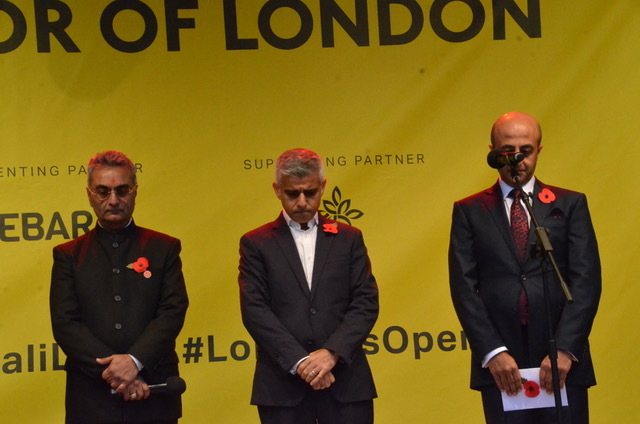 London Mayor Sadiq Khan observed a minute silence at the Diwali on the Square, to remember the contributions of the soldiers from WW1. This remembrance initiative also includes events around the country, in schools and with the general public, where children and adults from different ethnic and faith backgrounds come together to learn that soldiers from all backgrounds fought side-by-side. In Birmingham, a Remember Together event is bringing Imams from across the UK together to learn more about the Muslim contribution to WW1. Nitin Palan MBE, the Chairman of Golden Tours Foundation and an Interfaith leader for the BAPS Swaminarayan temple have organised quite a few events to remember and celebrate role of India and Commonwealth countries. 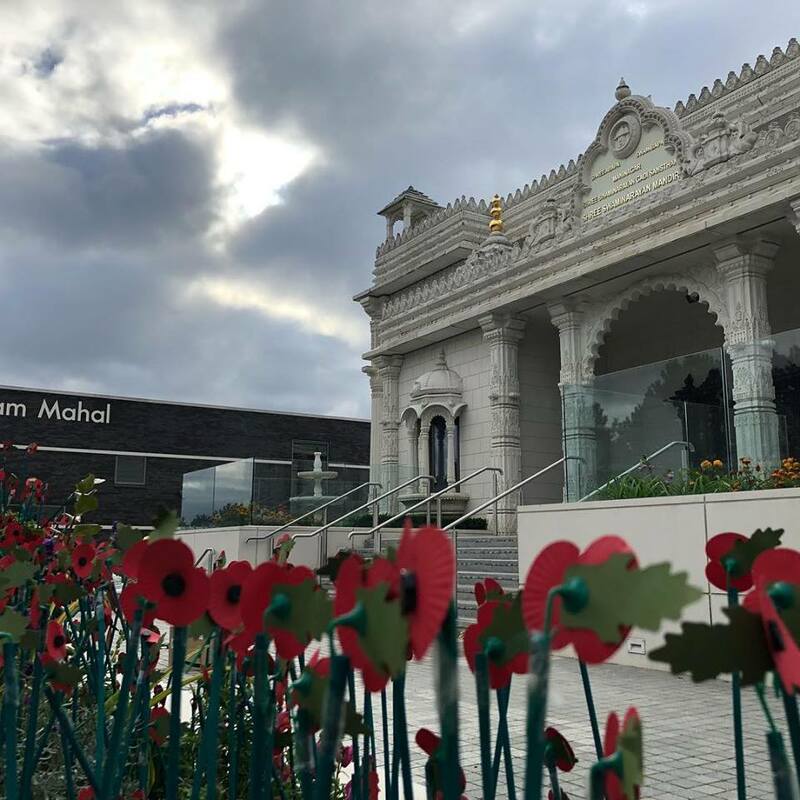 They have organised an interfaith week and on 16th November, BAPS Swaminarayan Sanstha is honouring the contribution of all Commonwealth countries on the centenary of the end of the war by holding a special commemorative event at the iconic Neasden Temple. The Golden Tours Foundation have also joined hands with The British Legion to create the Khadi poppy. Khadi is a handwoven fabric made famous by Mahatma Gandhi, who promoted the use of a spinning wheel to make India more self-sufficient and promote rural employment. The cricketers during the English and Indian cricket teams made history at the Oval during the fifth test match in September, united to recognise the role of Indian soldiers during the First World War. The two squad captains- Virt Kohli and Joe Root wore a unique poppy made out of Khadi, the handwoven cotton closely associated with Mahatma Gandhi, which was unveiled on 9th September at a special match day hosted by Surrey County Cricket Club. The Golden Tours Foundation also created “Inspiring Young Minds”, a bus that houses an interactive, audio visual travelling educational exhibition on history and heritage. An interactive exhibition on the Role of Indian soldiers during The Great War (World War 1) the bus (owned by Golden Tours but loaned to the project) has brought to the participating community centres, a shared remembrance of their communities’ contribution in shaping the Great Britain of today. It was also present at the Diwali in Trafalgar Square on Sunday 28th October. 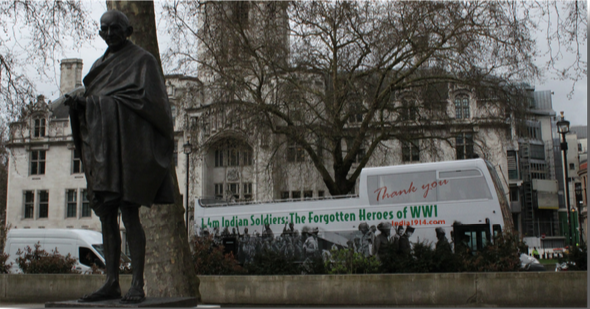 Golden Tours Foundation has also designed and implemented the “Remembering Indian Soldiers in WW1: India 1914”, a project funded by Heritage Lottery Fund. The work of the Golden Tours Foundation in facilitating the project has enjoyed exemplary success and has been very well received. 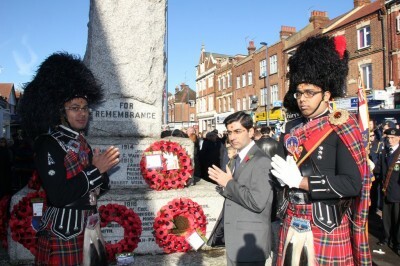 11th November, Nitin Palan MBE and Kesh Morjaria will be laying a wreath at the Cenotaph, to commemorate the Rembrance Day. A cross party group has written a letter to The Sunday Telegraph, 'Remembrance for all', highlighting about the Muslim contributions to the wars. “November 11th marks not only Remembrance Sunday but also 100 years since the end of the First World War...The armies of 1914-18 looked more like the Britain of 2018, than rest of the country did at that time. British troops fought alongside soldiers of different colours and creeds from across the Commonwealth, including over a million Indian soldiers, 400,000 of them Muslims from present-day Pakistan. Yet few know that thousands of Muslim soldiers fought for Britain- including soldiers like Khudadad Khan, awarded the Victoria Cross for bravery in 1914.” 10 other men received Victoria Cross including Mir Dast, Naik Darwin Singh Negi, Gabar Singh Negi, Chatta Singh, Kulbir Thapa, Dafadar Gobind Singh, Naik Lala, Ressaidar Badlu Singh, Karanbahadur Rana and Naik Shahamad Khan. The letter that urges people 'to put aside differences and remember together' is signed by Baroness Warsi, Lord Richards, Former Chief of the Defence Staff, Lord Ashdown (Lib Dem), Mayor of London Sadiq Khan, James Cleverly MP (Conservative), Nusrat Ghani MP (Conservative), Dan Jarvis MP (Labour) and Rt Rev Paul Butler, Bishop of Durham along with 18 other people.